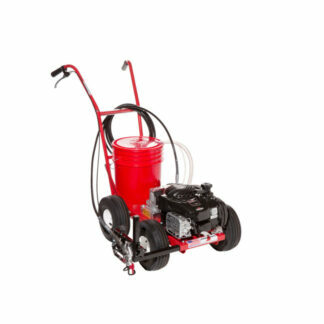 The EcoLiner Battery Powered Field Striper features a heavy duty, diaphragm pump powered by a 12-volt deep cycle battery. 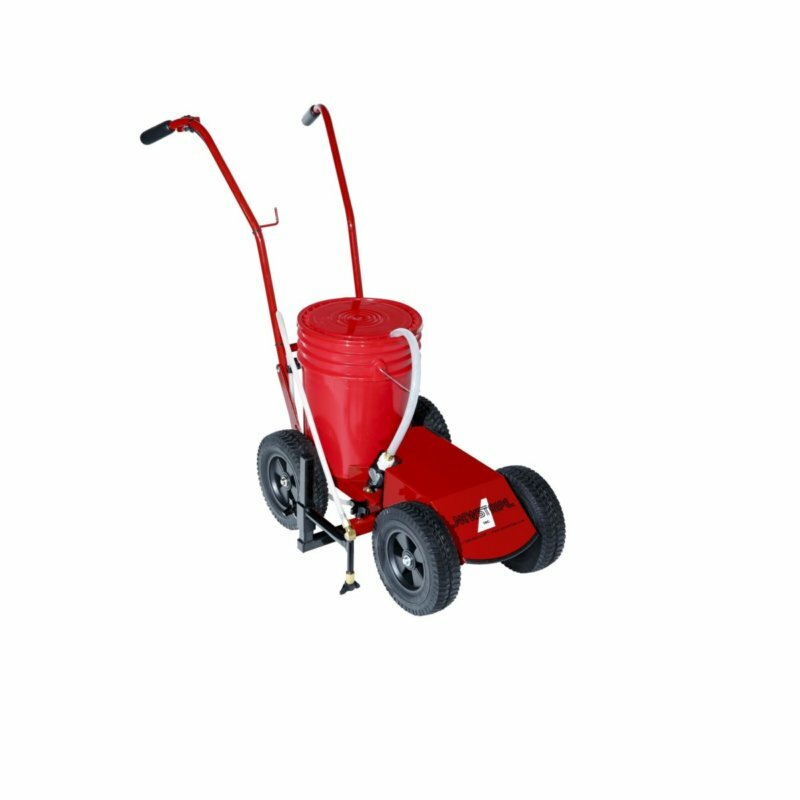 No Messy Pouring and Easy to Use – Simply, place a 5-gallon pail of premixed paint on the machine and you are ready to mark your field. Plus, changing colors is both fast and easy to do with the operator friendly design. Safe Operation – No pressurized tanks. No need to release pressure to add paint or clean. No high-pressure pump output to prohibit operator injury. 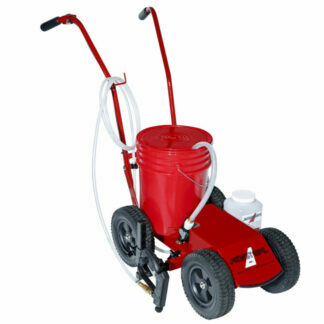 Cleanup is a Snap – When finished painting, simply flush clean water through the spraying system and the machine is ready for your next field marking job. Paint Fields in Half the Time – The efficient spray nozzle design paints high-quality lines the first time, eliminating the need for tedious touch up and repainting of lines for increased visibility. Plus, the line width is fully adjustable from 2 inch-6 inch, allowing for greater flexibility to meet your field marking needs. 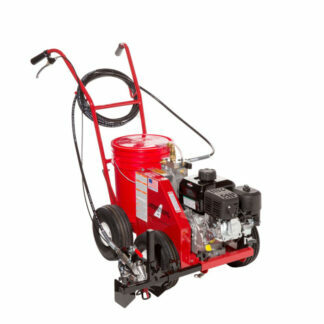 No Flat Tires – Perfect for use on athletic fields, the EcoLiner™ Athletic Field Striper is assembled with No Flat Tires with a knobby tread that meets the rigorous demands of uneven turf and will never go flat. No More Clogged Tips and Drips – The EcoLiner™ Field Striper features a large mesh filter on the intake hose with an additional inline filter and check valve to eliminate clogged tips and messy dripping. Cleaning the filters and tips takes less than 30 seconds. 12 Month Limited Warranty – Guaranteed protection against defects in materials and workmanship.